One of the biggest Fighting Game event in South-East Asia, EVO Japan 2019, will take place from February 15th to 17th, in Fukuoka, Japan. It will feature 6 Main Event games. Two of them will be Guilty Gear Xrd REV 2 and Blazblue Cross Tag Battle. The tournaments for those games at EVO Japan will count for the ArcRevo World Tour. In our previous article about the event, we were focusing on two games considered to be two esports leaders within the Fighting Game genre. Of course, we also have to count Dragon Ball FighterZ in this list, but it will unfortunately not be in EVO Japan 2019, due to some legal issues with the owners of the Dragon Ball IP. Nonetheless, Capcom’s and Bandai Namco’s leadership as Fighting Game Publishers in the world is less of a debate, and more of a fact. This paradigm changes in South-East Asia, especially Japan. There’s one huge candidate to the same throne, and that is Arc System Works. The Yokohama-based company were always respected as a publisher that provided the Fighting Game Community with handcrafted, bold and technical fighting games over two decades. But in the West, their games earned a reputation of “non-beginner-friendly” titles that still hurt them. A lot of things changed after 2013, when Guilty Gear Xrd -SIGN- came out. It’s on the esports field that things get an interesting turn, with the recent launch of the ArcRevo World Tour, featuring three games. In this article, we’re talking about two of them, and how their competitions drastically differ from what you can expect in other fighting games. In an industry that implies a lot of pro-players having to go to retirement before their 30’s, or even their mid-20’s, it’s humbling to see where some fighting games scenes like Guilty Gear’s can be at. Not something uncommon in fighting games, but you often see people close to their 40’s, reporting close to 20 years of competitive play. Sometimes, even with the same character, for their entire careers. It’s the case for an almost 10-year-old rivalry that applies the same players with the same characters across plenty variations and sequels of the same series. 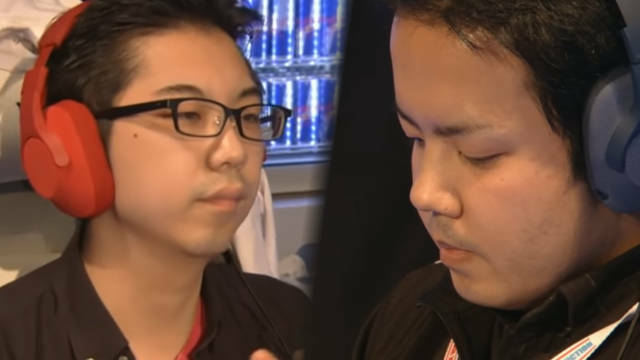 Another ongoing rivalry between West and East has developed from the Japanese arcades dominating Kyoto, Tokyo and Osaka, featuring the talents of Nage, the PInk Faust and Omito, the White Johny. The game’s meta is in huge contrast with the one Tekken has. In Guilty Gear, characters feel so much different from each other, in terms of weight and game plans that is almost like you’re switching between games, instead of from characters. This is why you can see players that get very attached with their main characters. ”Summit” and his Chipp, ”FAB” and his Potemkin, ”Daru” and his I-No, ”Rion” and his Ky, etc. The list goes on and on. And even at the sunset of this game’s competitive lifespan, we can still expect incredible things to come from a nearly-bottomless deep fighting game. Easily one of the most “westernized” ArcSys game out there. This is obvious from the addition to Roster Teeth’s RWBY characters, or even its gameplay, considered a bit toned down in the execution rather than the likes of the main Blazblue licence. It’s also the first Console game officially published by Arc System Works, outside of Japan, after they opened their first North-American branch company. With the company’s clear aim to focus on Home releases rather than Arcade releases first, it gave a new competitive perspective to the game. The main perspective is that, unlike the Blazblue, Under Night In-birth and Persona 4 Arena series that gave characters to the final mixture that gave Cross Tag Battle, there’s not that much of a competitive advantage for the Japanese players. Players like Jeronte “Fame96” Latham, Jona Kim in North-America, or Harry “LordSpectreX” Verrall-Withers in Europe, had strong showings at EVO 2018 in Las Vegas, against huge caliber Japanese players like Kazuyuki “KojiKOG” Koji, Shoji “Fenritti” Sho or even “Heiho”, the EVO Champion in August. Again, Home Field advantage is not something to forget, but it would be a mistake to overlook Western players in EVO Japan. EVO Japan solidifies the Japanese competitive scene, that opens itself more and more to the Esport industry. Obviously, Japan hasn’t waited EVO to take competitive fighting games seriously, but that Western way of organizing tournaments is somewhat new in Japan. KVO is also an interesting event to look out, because the games focused in Japan are not the same at all in North-America or Europe, as expected. In the next article about the event, we’ll focus on the two “circuit-less” tournament games that is left: Soul Calibur VI and The King of Fighters XIV. 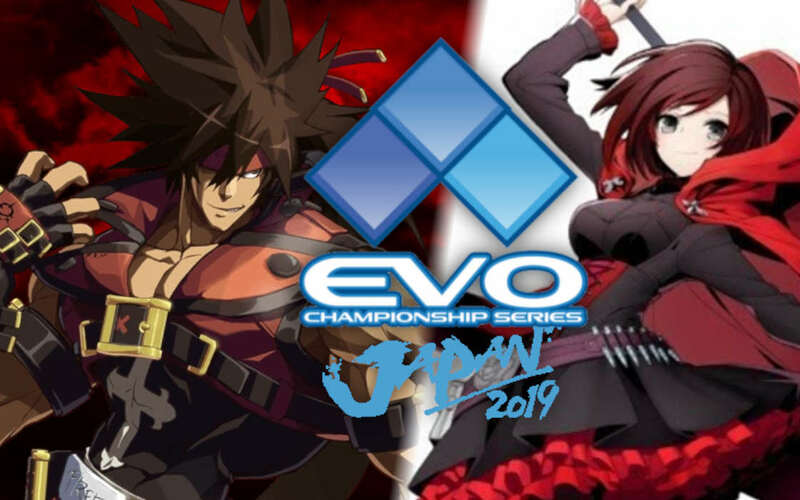 EVO Japan 2019 is upon us and here's everything you need to know. Why do FGC gamers stick to the same character for years? Is the West better thant he East?